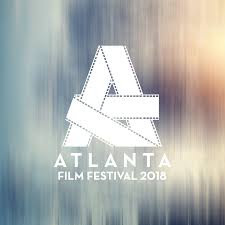 With a record 7,600 film submissions received for the 2018 festival, the final lineup includes 58 feature length films and 150 short films from 56 countries –making this year’s film festival the most diverse, by number of countries represented, and the largest, by number of films, in Atlanta history. The ten-day event takes place from Friday, April 13–Sunday, April 22, 2018 and will be highlighted with Opening and Closing Night presentations and galas, 10 Marquee screenings events, Creative Conference events and additional Special Presentations and events. Tickets are now available for purchase at www.AtlantaFilmFestival.com. Now in its fifth decade, this Academy Award-qualifying festival is one of the region’s largest and longest-running preeminent celebrations of cinema in the Southeast United States. More than 25,000 festival attendees enjoy independent, animated, documentary and short films each year, selected from more than 7,600 submissions from 120 countries. Tickets for individual screenings are $10 in advance and will go on sale beginning in March. Prices for festival passes range from $75 for basic membership to $350 for an All-Access Pass. A Producer’s Pass is also available for exclusive access to festival screenings, educational programming and parties for $750. You can check out the full schedule here. Some of the highlights are the screenings below. A new comedy from Academy Award-nominated director Jason Reitman (Up in the Air) and Academy Award-winning screenwriter Diablo Cody (Juno). Marlo (Academy Award-winner Charlize Theron), a mother of three including a newborn, is gifted a night nanny by her brother (Mark Duplass). Hesitant to the extravagance at first, Marlo comes to form a unique bond with the thoughtful, surprising, and sometimes challenging young nanny named Tully (Mackenzie Davis).